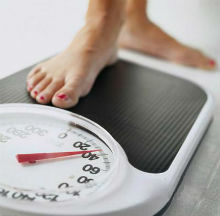 Did it ever occur to you that certain foods may help you lose weight? That’s right! There are foods that help you burn fat and increase your metabolism. These foods are all natural diet aids and can be eaten by themselves or mixed with other food items. Here is a list of foods that you need to eat to help you shed off some pounds. Nuts, most especially almonds, help prevent you from being hungry by curbing your appetite. You can eat the nuts alone or you can mix them in yogurt, ice cream, cereals, salads and others. It is said that around 24 nuts or 2 ounces of it is enough to curb your appetite. Pears can fill you up without unwanted calories. It is highly advisable to consume them with skin on. Just make sure that you wash them thoroughly, though. You will end up eating less of other fruits as you already feel quite full after eating pears. Dairy products contain calcium which does not only ensure strong bones and teeth but also helps prevent fats from forming and aids in fat breakdown. Just make sure to choose low fat dairy products like skimmed milk among others. The fat burning action of green tea is due to a substance called “catechins” which helps in burning fat. This particular substance speeds up your metabolism thereby burning more calories and also increase fat burning in your liver. It is recommended that you consume four to six cups of green tea each day for it to be a natural diet aid. Next time when you are thinking about weight loss, try those four natural ingredient in your daily diet. Let me know how it works for you. To read more articles from my blog, visit Natural Health Care Reviews. Imagine a black hole in your line of vision. 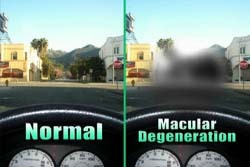 This eye disorder called macular degeneration is a condition wherein the cells of the center of your retina called the macula are slowly degenerating. Your central vision becomes blurry with a black hole on it until all of your sight falls into that black hole. Conventional doctors will agree that this is irreversible and there is nothing to prevent the possibility of blindness and certainly nothing to reverse the problem. Alternative practitioners would say otherwise. They say that macular degeneration may be stabilized or reversed with nutritional intervention. According to alternative practitioners, lutein is the best nutritional supplement for the eyes. In fact, everyone over the age of 50 must be taking this supplement. You can get this by eating five servings of leafy green vegetables a week and since most of us don’t, it’s perfectly fine to take the supplements from health care stores. They even recommend another pair to go with that lutein, called the bilberry extract. This is thought to improve the circulation of the retina, helping to stop or reverse macular degeneration. It’s also advised to make a change in lifestyle. Make it a practice to eat low fat, whole foods. Remember that our eyes have a myriad of little nerves in there that could also be inflicted with fats from high cholesterol diets. Thus, the health of our eyes depends on the health of our whole body. When you are outside, wear sunglasses to protect the retina from the damages caused by ultraviolet radiation. And, I’m sorry coffeeholics, but caffeine is a no-no when you have this disease. Hoping you have learned something about mascular degeneration from this article. Please share this out. For more articles, please visit my blog site. Are you kidding? Let me explain on this. You see, stress is a “double edged sword” when it comes to brain health, this feature makes stress management very important. The kind of stress you experience in daily life like while preparing for exams, facing the deadlines of an important task and narrow escape during an accident etc. can actually help improve the learning and problem solving abilities of our brain. Brain, like all other natural things, has the ability to adapt to the changing environment. So, when you face any threat, danger or stressful condition then human brain starts to function at a much faster rate to come to a logical solution to the problem. During stress conditions, human brain releases a hormone called “glucocorticoids”. This hormone increases the supply of nutrients to brain and help it work in an efficient way. Stress also helps you remember important events of your life. For example if you have been in a road side accident then you would remember that event vividly as compared to other activities performed on that particular day. So, stress helps in the consolidation of memory as well. 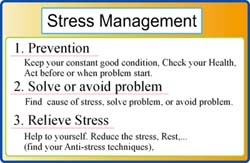 Management of stress is necessary because there are more harmful effects of stress on brain health as compared to its beneficial effects. During the periods of chronic and repeated stress, human brain cannot control the levels of “glucocorticoids” produced in the body. The uncontrolled production of this hormone starts to affect the memory and behavior control centers of brain. It makes a person agitated, angry, with impaired learning and problem solving skills, restless, delusional and it makes difficult for him to concentrate on the give task. Avoid discussion with people that worsens your stress. You should avoid getting into arguments that make you agitated and stressed. Try to know your limitations. Never strain yourself in doing a task that is beyond your power or control. Take control of your environment by switching off the TV or anything that induces stress. Don’t stress yourself with excessive work load. Always give away some time for fun and relaxation. Try to be social. Make good ties with your friends, family and neighbors. 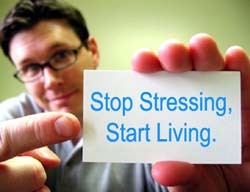 It will help you manage your stress. Don’t try to be extra serious all the times. Try to smile and add humor to your routine conversations. Try to adopt a hobby that makes you feel good. It might include playing golf, hanging out with friends, gardening etc. Try to exercise regularly. Exercise helps improve both your physical and mental health. Always eat a healthy diet. 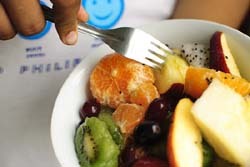 Try avoiding junk food and add food stuff like vegetables and fruits in your diet. Try relaxing activities like yoga, meditation and aerobics. Reduce the consumption of sugar and caffeine. Use natural alternatives like honey. Always get a proper good sleep. Make a “go to sleep” and “get up” time. Avoid consumption of drugs, medicines, alcohol and sedatives. 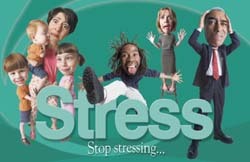 Change in way of handling situations can help in stress management. Manage your time in a better way. Spend more time in productive activities. Try to compromise over different issues. Always think of the bright side of the issue. Try to express your feeling rather than suppressing them. Don’t always seek revenge. Try to forgive others’ mistakes. Don’t try to control the uncontrollable things. I hope you like my blog. Please share to your friends and family so that they will like it too. To read more my previous written blog, visit my site at Natural Health Care Reviews. Comments are very welcome. Insomnia or the inability to fall asleep can be very unhealthy. Not only does it rid your body of restful sleep but it also diminishes your energy supply for the next day’s activities. Insomnia also includes not being able to continually stay asleep and waking up earlier than expected. Studies show that lifestyle seem to be the main cause for insomnia. By changing your lifestyle, you can surely have better and more restful sleep without having to deal with insomnia. Establish a sleeping pattern. If possible, go to bed at the same time each night and wake up at the same time every morning. This will establish your body clock and once your body has become accustomed to it, you won’t be having any sleepless nights in the future. Do not bring your work to your bedroom. Bedrooms are supposedly exclusive for getting rest and other relaxing and pleasurable activities – not for doing homework or finishing a task from work. Avoid drinking alcohol and caffeinated beverages and food at least 6 hours before your established bed time. Smoking is also a huge insomnia trigger so it will be better if you try to stay away from nicotine. Nicotine can be a stimulant and can also be a depressant but either way, it will have effects on your sleeping pattern. Make sure you exercise daily. You can take a walk or a quick jog every morning to loosen up your body and prepare you for the day’s activities. I hope these few tips help you.